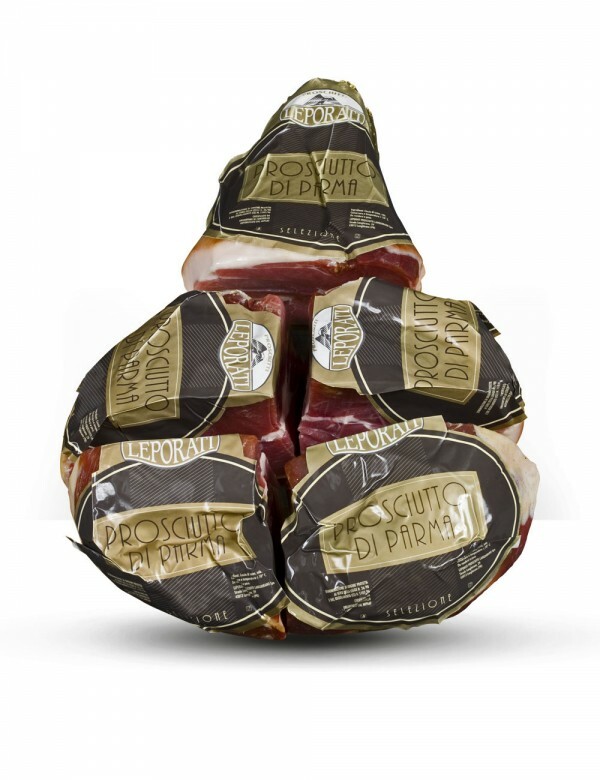 Deboned PDO Gran Riserva Leporati Parma Ham, dry cured for 22-24 months and vacuum packed. The PDO Gran Riserva Leporati is the first Parma Ham to obtain a product certification. Deboned PDO Gran Riserva Leporati Parma Ham, dry cured for 22-24 months and vacuum packed. The PDO Gran Riserva Leporati is the first Parma Ham to obtain a product certification. PDO Parma Ham is made exclusively from pure Italian pork and a pinch of salt. Free from preservatives or genetically modified ingredients. Quality ingredients, production methods and nature's helping hand: these are the secrets behind Parma Ham.